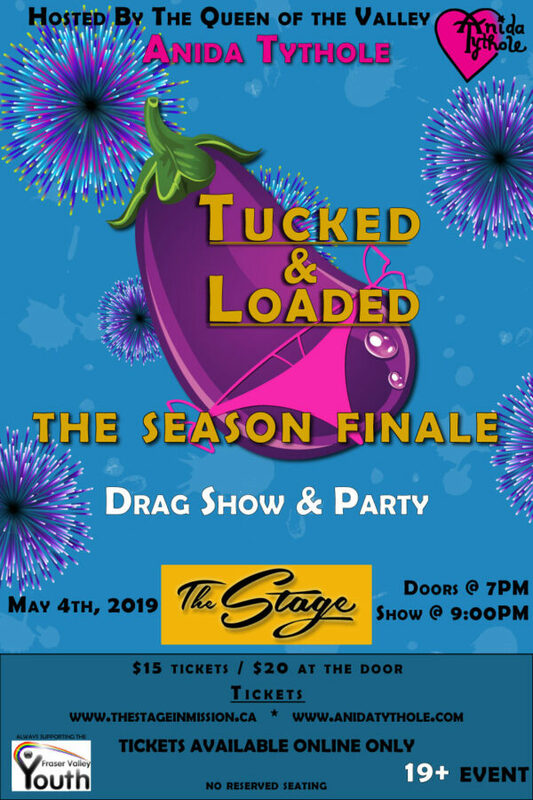 The Stage presents TUCKED & LOADED Season Finale. Starring Anida Tythole with Special Guests! The BIGGEST Drag Party in the Valley! No Reservations – This is a Bar Show – This show is open seating, First Come, First Served Seating – Ticket guarantees admission, doesn’t guarantee a seat. Arrive early to get a seat for the show. Sorry No VIP passes available for this show.